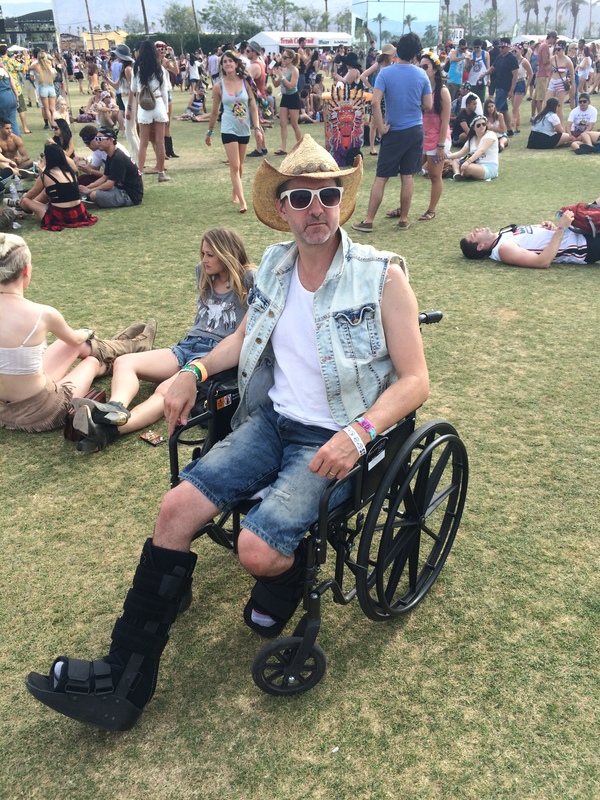 Larry (pictured above) braved the crowds with his broken leg/wheelchair in a Zara jacket and H&M Jorts. And apparently I ran into Shaun Cruda who’s rocking a Levi’s jacket, H&M top and a Jesus piece (apparently I failed to note who made the shorts) in what looks like the Gobi Tent. 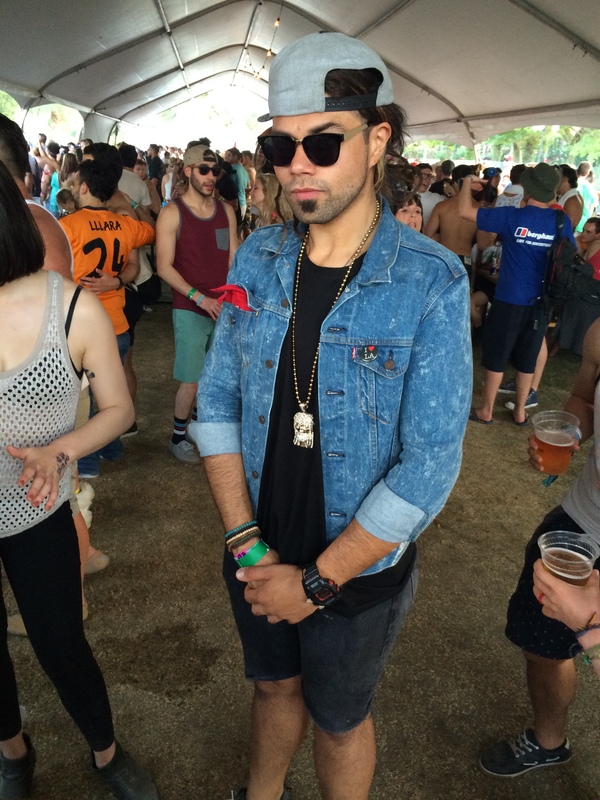 This entry was posted on Monday, May 19th, 2014 at 3:29 pm	and tagged with California, Canadian Tuxedo, Coachella, Coachella 2014, Coachella 2015, Denim, Denim on Denim, double denim, Fashion, Gobi Stage, H&M, Indio, Levi's, Shaun Cruda, Zara and posted in In The Wild, Music. You can follow any responses to this entry through the RSS 2.0 feed.